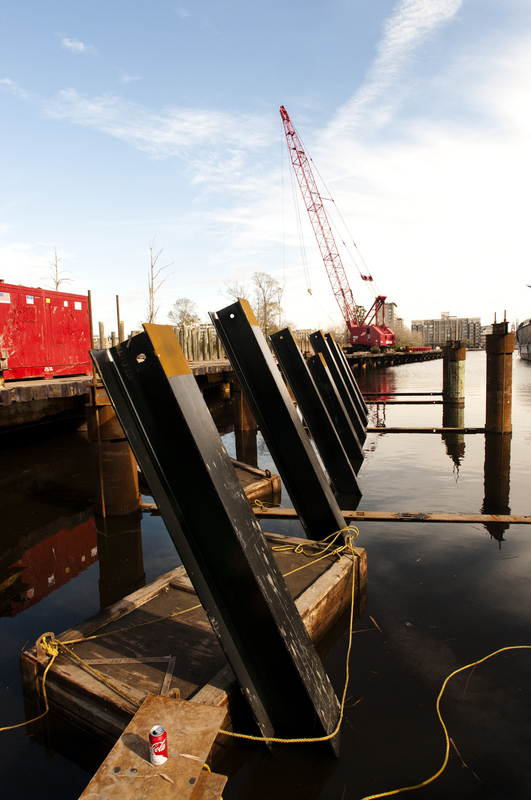 The Battleship staff understands that the cofferdam and walkway construction projects are complex. It is hard not to wonder what is going on! We encourage the public to ask questions, which can easily be done through our Facebook page, and we will do our best to keep everyone informed. Take a look at the very informative article the Port City Daily wrote on the construction. Be sure to check back frequently for more information! The Battleship cofferdam enables workers to repair and restore the ship’s corroded hull, which is paper-thin in places. 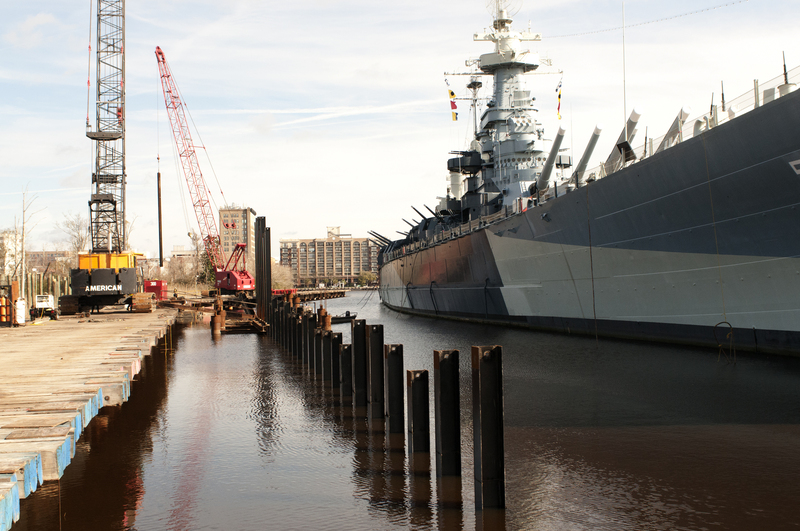 The Battleship’s last major dry docking and repair work was done in 1953. It is long overdue! 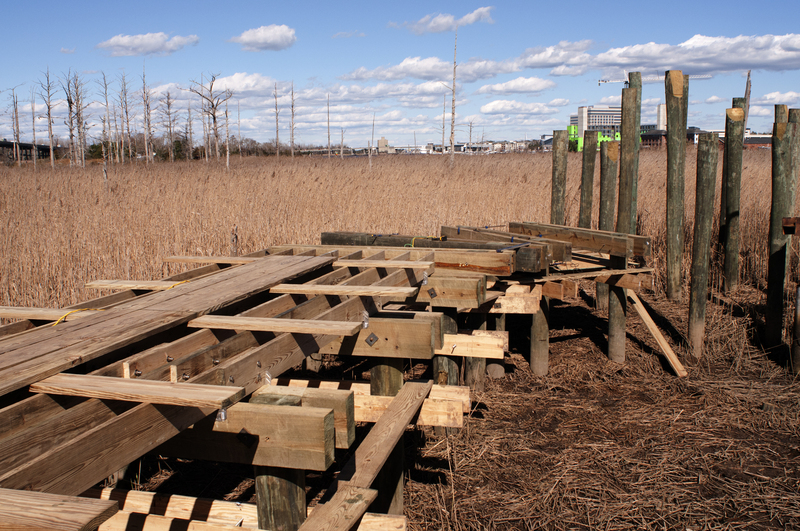 Under construction simultaneously, the SECU Memorial Walkway is a half-mile long, 10-foot-wide timber walkway surrounding the Battleship. Q: When the water and muck is pumped away from the ship, how will they shore the Battleship to keep her from listing? A: The ship is settled in approximately 25 feet of mud. The cofferdam allows us to access the portions of the hull (about a 10-foot band we call the “wind/water line”) that need to be replaced, but we will not remove all the water and mud from around the entire ship at one time. Enough water and mud will remain to ensure the stability of the Battleship, similar to what was done on the USS ALABAMA. The condition around the ship when we drain the water will be similar to what we experience at low tide. We will simply have more control over the amount of water around the ship while we replace steel. Q: Are you driving sheet steel into the muck? A: Yes. The steel sheet piles, steel “H” piles, and timber piles for the walkway are all being driven into the mud and limestone layer that exists about 42-50 feet below the ship. Engineers have carefully calculated the specific depth of each pile to ensure the cofferdam and walkway are able to withstand the various pressures on all sides during all tidal conditions and those we will create during maintenance periods. We’ve conducted several geo-technical studies, as well as a test pile analysis, to confirm the subsurface conditions and holding strength of the mud and limestone. Q: With construction of the cofferdam are there provisions being made to be able to get the Ship out of the cofferdam and into the river if necessary? 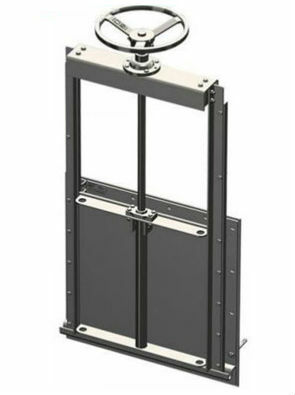 Such as locks or doors on the end of the cofferdam? A: Unfortunately, the Battleship’s condition prevents her from leaving her berth; however, the cofferdam will be equipped with 4 slide gate weirs that will open and close so that water can be pumped in and back out of the inner area. Q: What will happen to the portion of the hull that is in the mud? Does the mud protect it from corrosion or will that eventually need to be excavated to make repairs? A: The ship is settled in approximately 25 feet of mud. 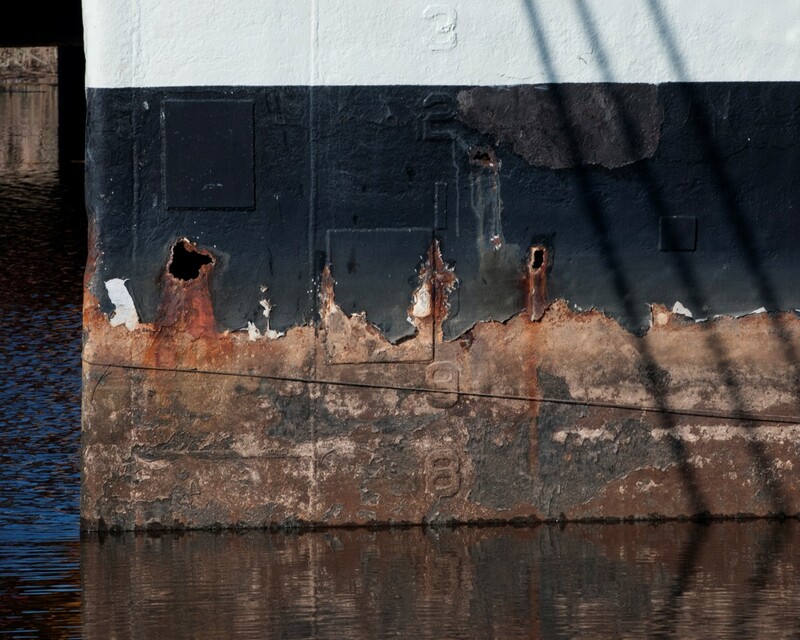 The portion of the hull that is in the mud has been largely protected from corrosion by lack of exposure to the elements. The cofferdam will allow us to access the portions of the hull (about a 10-foot band we call the “wind/water line”) that have been exposed to the elements for nearly 60 years! 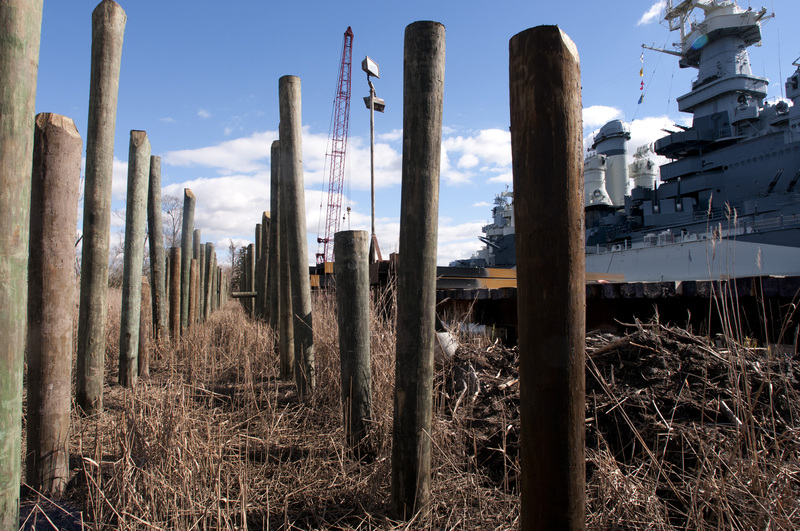 Orion Marine Group, prime contractor, continues the construction of the Battleship NORTH CAROLINA cofferdam and the SECU Memorial Walkway.